If you’re serious about maintaining strong and healthy bones throughout your life, exercise should move up on your list of priorities. But what type of exercise is best for bones? You may have heard that high intensity forms of exercise are good for bone-building. 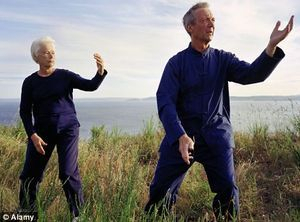 But it comes as a surprise to many people that mindful exercises like yoga or tai chi are also very helpful. Let’s take a closer look at exercise and you determine what’s best for your bones — and your life. Use an X-iser step machine for a few minutes a day. Use steppers, free weights, and other strength training devices at your local gym, or wear a weight vest or belt during your workout. Try a rebounder (mini-trampoline) and build your bones like the astronauts do. From hopping on one or both legs during the commercial breaks of your favorite TV show to biking back and forth to work, there’s a way for you to make exercise a part of your life, and once your bones are called upon, their mass will increase. What and How Much Exercise Builds Bone? 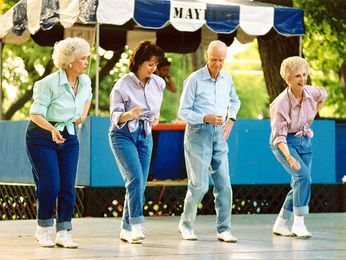 Regular, lifelong exercise is best for bone, but it’s never too late to begin building bone density with exercise. Your age, gender, current bone mass, and training history are all factors that will influence your choice of exercise for bone health. The optimal exercise routines for men’s and women’s bone health is unknown and subject to much debate. But we do know that different forms of exercise benefit bone mineralisation and the mechanical properties of bone in different ways for men and women of different age groups. It's generally accepted that exercise that requires high forces or generates high impact on the body (such as gymnastics, dance, or weight-lifting) is best to improve bone density. The greater the force or impact, the more bone-growth stimulation. Scientific evidence does suggest we most efficiently build bone mass with a combination of high-impact exercise (such as jumping) and weight-lifting. But other properties of bone besides mass make it resilient, such as its water content and cross-sectional geometry. That’s why non-weight-bearing or resistance exercise such as swimming, biking, and isometric exercise also have value, in that they can increase your bones’ flexibility and compression strength. 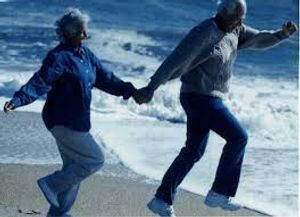 Resistance exercise also decreases your risk of falling and fractures by enhancing balance, coordination, and muscle strength. In addition to the physical effects, there’s often a psychological benefit to Eastern practices. This can help enhance our natural mind-body connection and calm the autonomic nervous system, lowering adrenaline and cortisol, our primary stress hormones. These actions ultimately help bone and whole-body health. Consult your physician before starting any new exercise program.